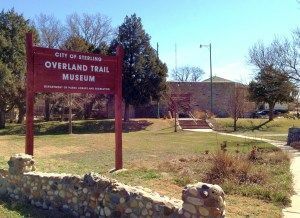 The Overland Trail Museum takes you back in time, presenting the history of the Overland Trail. The famous and, at its peak, most heavily traveled highway in the country led to the goldfields of California and later Colorado. This replica of an old fort houses artifacts, memorabilia and collections of early life on the prairie. 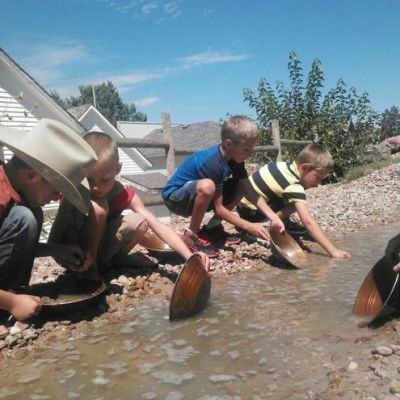 Historic buildings – including a house, church, school, blacksmith shop, general store and barbershop – can be closely inspected throughout the year. The original museum building is a replica of an old fort. Wings have been added to the main building. The first was added in 1965, followed by an extensive addition in 1988. In 2002, the Dave Hamil/REA Building was built to memorialize the electrification of rural America. 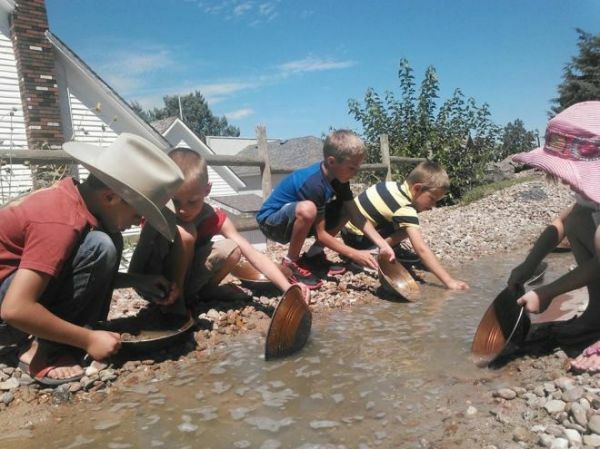 Kids pan for "gold" at the Overland Trail Museum. 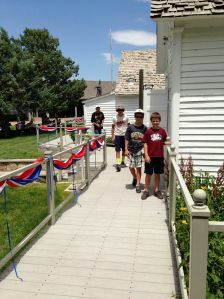 In addition to the main museum, 14 buildings have been added to the grounds, including an 1891 one-room school house, a country church, a general store, a 1915 stone block house, a 1910 barn and the newest addition, the High Plains Education Center, added in 2011. Visitors enjoy a stroll back to a simpler time as they walk through the shady courtyard and enjoy the ambiance of the turn-of-the-century village. And don’t forget to check out the two-headed calf in the barn!